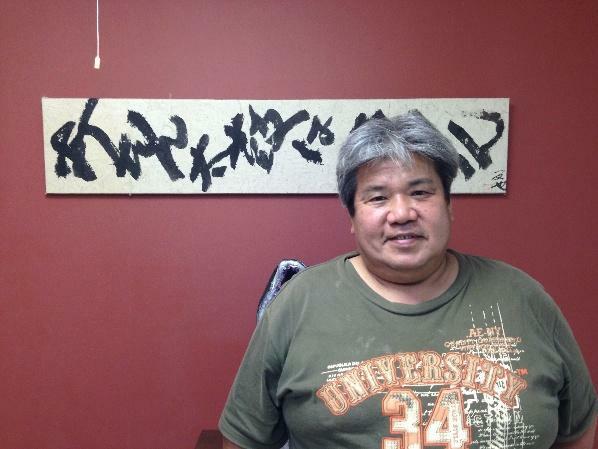 “If you don’t beat the drum, you can’t know what it sounds like.” (utan taiko ha saran) These are the words that inspire Fumiya Hamamachi, president and CEO of Kochi Ice, a local ice cream company. “My mother taught me these words”, Hamamachi said. “They are my treasure.” He believes in this saying so much that it led him to become the producer of handmade premium ice cream. 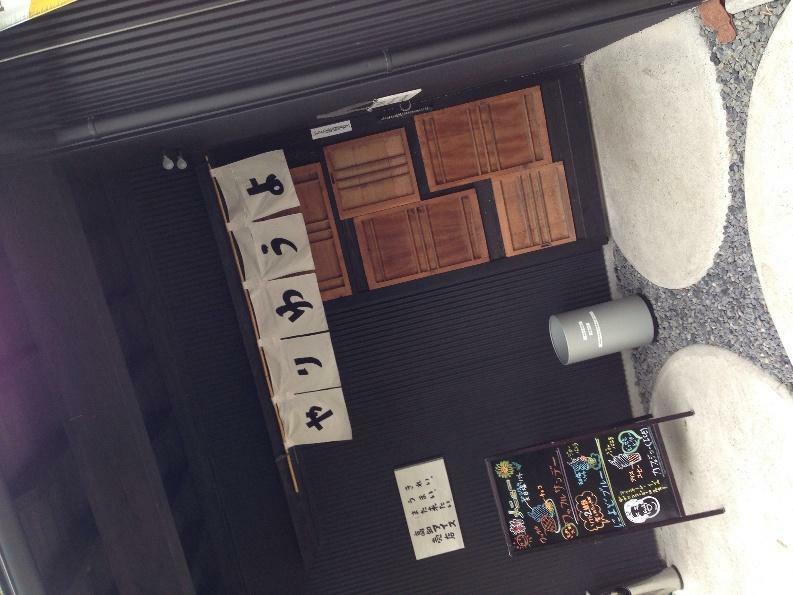 In Kochi prefecture, it’s hard for small local businesses to survive. There are about 40,000 companies, just 0.7% of all the companies in Japan, which employ 330,000 people. These mostly small shops face stiff competition from a large number of chain stores. But some small innovative companies are doing well, and Kochi Ice, with only 22 employees, is one of these. Once upon a time, Hamamachi worked as a bonito fisherman, but he quit the job when he married. In 1998, he and his wife decided to chase the dream of making handmade ice cream that uses local specialties of Kochi. The only problem was, he really didn’t know how to make ice cream. He knew of a gelato shop in Kanto where he might learn how to make the kind of ice cream he dreamed of. He was not well acquainted with the shop but screwed up his courage and contacted them. Hamamachi’s love for his hometown inspired the name for his company. All products of Kochi Ice use homegrown delicacies of Kochi: yuzu, buntan, rice, tomato, natural salt, Tosajiro eggs, pear and so on. 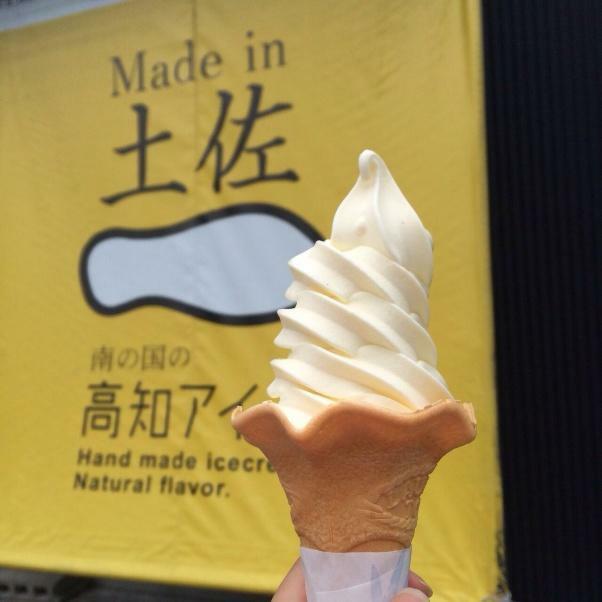 For example, Natural Salt Gelato uses natural salt made in Kuroshio town. This salt is made by Yoshida family. They use only the power of wind and sun, not heat. They stir the salt from dawn to dusk every day for months. It takes 3~4 weeks in summer, 7~8 weeks in winter to become salt. “We take a long time and make realeffort”, Yoshida said. “The salt is flavored witch rich mineral sea water, TOSA.” There are many local producers listed on Kochi Ice’s pamphlet, so customers can feel safe that they are getting the real taste of Tosa. He wants people to know the good tastiness of Kochi, so he has sold their ice cream also in foreign countries since 2008. Moreover, in 2013 Kochi Ice acquired HALAL certification. Muslims have restricted diets, and only can only eat food that has HALAL. Now more people all over the world can eat Kochi Ice. Through the years, they have had many difficulties in business, including the threat of bankruptcy, but the Hamamachi’s never gave up. Now, with sales of over three hundred million yen, Kochi Ice was recently designated an ‘Important Support Project in Kochi’. They have also been chosen by the Japanese government as one of 88 outstanding businesses in Japan. Moreover Kochi Ice was introduced in the twenties ‘Challenger’ by Ministry of Agriculture, Forestry and Fisheries. (The ‘Challenger’ is the report that focuses on people who do unique and advanced activities in the field of Ministry of Agriculture, Forestry and Fisheries.) In short, Kochi Ice is helping to revitalize Kochi. “If you don’t beat the drum, you can’t know its tone.” We can’t know anything, unless we do actually. His life and Kochi Ice are just like this saying. Looks delicious, but too bad, I’m succeeding in quitting sugar. I know Kochi Ice, but I didn’t know they are sold in other country. “Should be more foolish” This is very an interesting point for me. I didn’t know that story. And I’ve never tried that ice cream so I wanna try!!!! Impressive accomplishment for a guy who didn’t really know how to make ice cream! Good luck to him.